The Mobile industry, it seems, has an incredible potential for enormous innovations, an uncanny ability to attract many market entrants and a very intensive competition for market share. Android has very well positioned itself as a global leader in terms of the number of devices activated running its platform, and while Apple – with its iOS platform – can be said to be the ultimate industry trendsetter given how it has revolutionized the entire mobile phone industry, and while RIM continues to reinvent itself with the new blackberry 10 platform, Ubuntu for mobile phones (the new kid on the block) has officially declared itself as the only true platform that provides a seamless integration across all the devices running its operating system (Phone, Tablet, PC and even TV) , completely upsetting the status quo and giving industry’s biggest players ( i.e. Android, iOS, Windows Phone 8 and Blackberry) more competition, as well as pilling more pressure on its rivals to stay innovative. However, some cynics may insist, that there is no need for yet another mobile platform, but from what Ubuntu promises to deliver with its new fresh ‘iconoclastic’ phone, another mobile platform revolution might very well be on the cards. Nonetheless, competition breeds innovation and in the end, the consumer is always the ultimate winner. Do you see yourself using the Ubuntu phone in the near future? 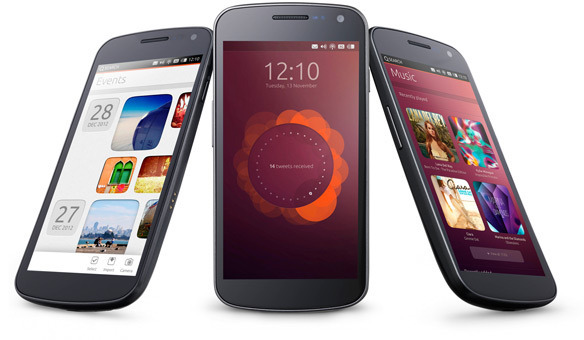 We would like to know, what are your thoughts on the Ubuntu Phone? See the video below for more details on the new ubuntu phone.